As the cold finally begins to break and the snow mountains continue to melt, many Washington-area residents are more than ready to come out of hibernation. And soon, so will the cherry blossoms. 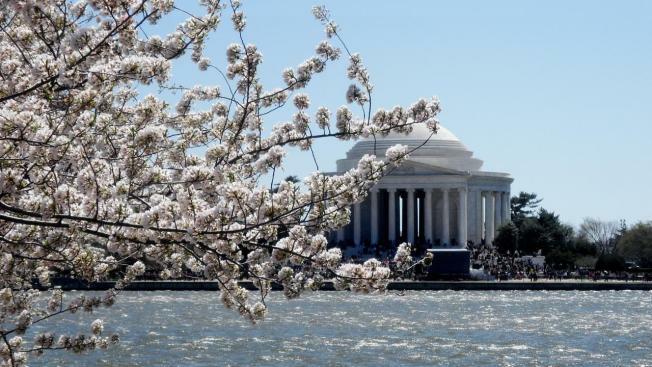 “I think the blooming period this year will begin around the 31st of March and extend all the way until the 11th of April,” said Rob DeFeo, chief horticulturalist for the National Park Service, speaking at the kickoff ceremony for this year’s cherry blossom festival. DeFeo also projected the blossoms will reach peak bloom sometime between April 3 and April 8, which would put them right on track to make their glorious appearance during the festival. “If this forecast holds, it’ll be the 10th year in a row that the trees have peaked during the festival,” said DeFeo. The festival, which runs from March 27 through April 11, is expected to attract more than 1 million visitors to the city. 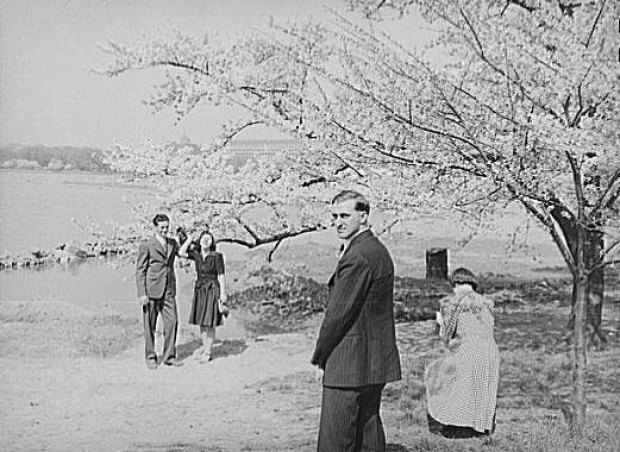 This year marks the 98th anniversary of Japan’s gift of 3,000 cherry trees to the U.S. 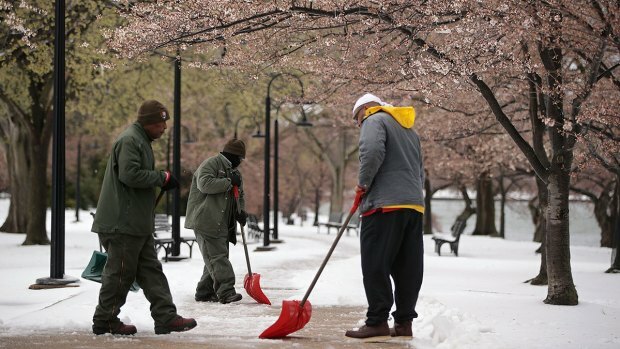 The blooming of the blossoms has become a rite of spring in Washington. However, the storms of winter have taken their toll on the trees. Arborists will replace four to five trees damaged by the snow storms, and a few others have lost their branches. It’s no big deal, though, for the Park Service. “They’ve been mitigating damage from storms and visitors for years, and by the time the festival happens, you won’t even know there was an event,” DeFeo said. To make certain the trees are in tip top shape for all that blossom-gazing, arborists will be working on them seven days a week until the festival begins.